9 year old me is exploding with excitement - as is 24 year old me, who’s not walked this much in years and suffering a wee bit for it, so is spending the day typing up blogs, downing endless cups of coffee with a hot water bottle chucked my jumper to help sooth my achy back - I'm getting old man. 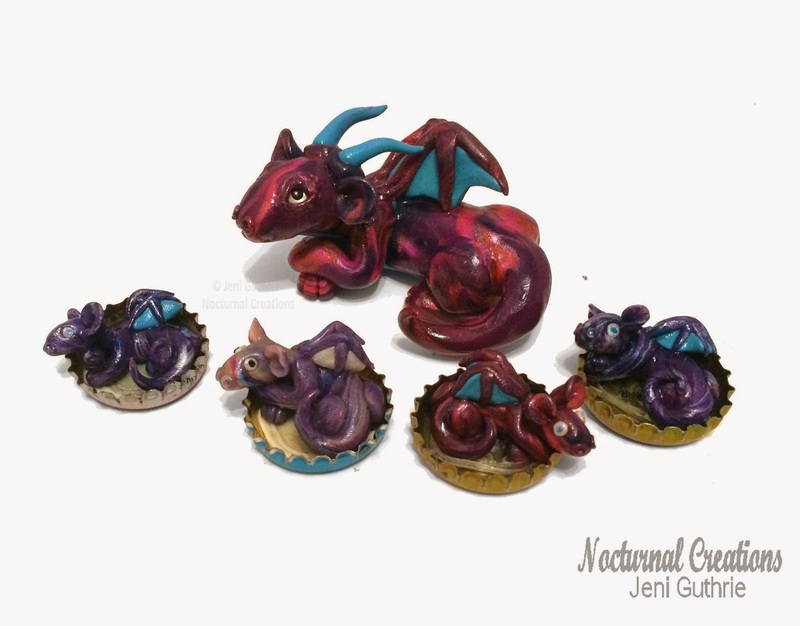 Each of their creepy little faces were hand sculpted using Polymer Clay (Super Sculpey by Polyform) using a pathetic array of tools - One dotting tool that's bent at one end because i rolled over it with my wheely chair, and my fingers. The little body was chopped out of faux fur using no templates, partially because i hate working patterns, i feel it takes away from the uniqueness of each piece. 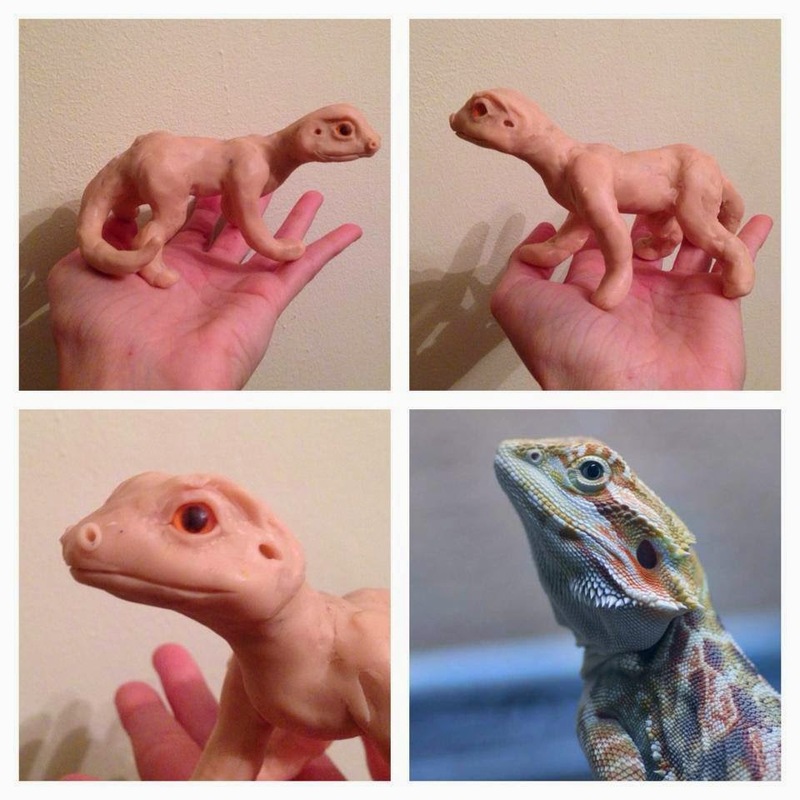 Each little face is handsculpted and uses no moulds (Currently) and due to this they range in size so templates are kind of pointless. Enjoy this fluffy little bundle of nightmares. I love him and he now watches over guests in the livingroom. Check out more of my work if you fancy, Tah pal! I'd like to order something custom made?I love to create custom work, just send me a message through the contact details above to discuss setting up a order. As custom pieces can't always be sold on, i require a 50% non-refundable deposit, upfront before I start physically creating the piece. Why do i need to give you a deposit? This is purely to cover my materials and working costs. I never used to ask for a deposit but unfortunately I've learned the hard way that I must do so to cover myself. What can you create for me? That will depend on what the piece you have in mind is, and what materials are involved. Have a wee nosy through my Facebook and DeviantArt portfolio pages for a idea of what i create. All transactions go through Paypal (Whether directly through Paypal, Etsy or eBay), as it's secure and we both get paperwork/receipts to refer to, to keep us safe. Directly through paypal: This requires you to send me your email that is linked to your account so that i can send through a invoice. I don't have money right now, but i really want to order something, What can i do? This is a tricky one, and I totally understand as we all have these moments. You can reserve a item; I'm happy to hold any ready to ship items items for up to one week. However unfortunately due to some negative past experiences I will hold items no longer than a week without payment. If you'd like a custom commission i can book you a slot on my order list closer to the time you will be able to pay, but i will not begin any work before hand. I'd like to cancel an order, how do i do this? If for what ever reason you need to cancel your order (I understand unexpected financial issues do happen) please let me know as soon as you possibly can so that I can offer the custom slot to someone else or re-list your ready to ship item. Can i get a discount/haggle? Not really. I like to think I price fairly, and I receive several comments a week that i am undercharging. I only charge enough to cover materials and some of my time. I do offer (When i can) discounts for some high value orders/multiple purchases. Low-balling is extremely offensive, please don't. This is dependent the size and complexity of your order and how busy my commissions list is. This can be any time between a few days for smaller simplistic creations up to a few weeks to even over a month for a large or detailed work. I work as quickly as I possibly can but please remember i'm human and occasionally need a day off to recharge and refresh my motivation levels. I try my utmost to communicate as much as I possibly can usually within 48 hours of receiving a message, but please remember i'm human and will occasionally take a day off. Please be reasonable with communication however, constantly messaging me is more likely to hinder your project than progress it, handmade work takes time. On the other hand, please be available to reply to me at least once a week, as large periods of time without communication means that i can't continue the project until we've discussed the current stage. Can i get some freebies?In a word. No. I'm not at that stage in my career or financially able to hand out free products that I spend so many hours working on. Where i can I do sometimes sneak a little thank you gift into paid orders. I have in the past sent out some promotional freebies, and plan to do so again in the future when i'm able, but I source the individuals myself, I do not give out items for the sake of it. Will you upload my piece to social media? Yes I will*, as i'm very proud of all my creations and wish to show them off to others (As i would hope you'd want to do too). 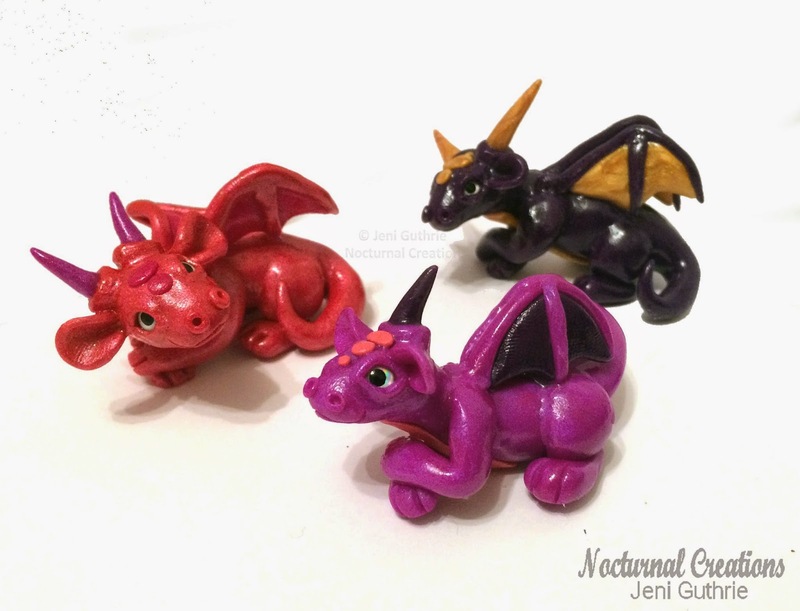 All my uploaded images contain a minimum of 2 watermarks with my name and Nocturnal Creations. This does not mean that i will sell your piece to anyone else (Unless payment isn't made after 1 week of completion). *Unless you specifically request that i don't upload it immediately i.e. if it is a gift for someone that you don't want to see it. I'm commissioning something a a gift, can you send it to their address? Yes i can, just remember to tell me when you order. I can even write/print a little message if you'd like so the recipient knows who it's from. I had another idea but you've already started my piece, can you change it? Within reason, yes. This will depend on what stage of the process your piece is in. Can i alter the piece once I've received it? To be perfectly honest, I'd rather you didn't. I put a lot of love and care into each piece i make. If there are any alterations you would like made we can do so during the creation process. However, if you'd like to add your own little personal touches and do not intend to claim the piece as your own or sell it, i haven't a problem with that. In fact, i'd love it if you sent me a photo of the changes you made!. Can I resell your artwork? Artwork can be given as a gift, but there can't be any monetary gain. Is your work stamped/signed? Does it come with paperwork? I'm not quite at that stage yet (Maybe one day) But i do sign all my paintings/drawings and do what i can to sculptures. I am working on getting stamps made and some certificates in the future. Can i share/use your artwork? Sharing: You're very welcome to share my work and images, just remember and credit me. Can i use your artwork/images as banners/in videos/ as a wallpaper etc? Yes you can, however i do not give you permission to alter the image or remove my watermarks. I do not give permission for my artwork or images to be used commercially. All packages are initially sent through Royal Mail. If the product is lost or upon receiving you notice that the item has been damaged during transport, you should report this to me as soon as possible and send me some photos of the damage. I try my hardest to ensure your item is packaged to the fullest of my ability, but sometimes a rough journey my result in minor mishaps. If the damage is minor i can suggest a repair method, however if the item has major damage we can discuss refund or exchange, this may take a while as the item has to be returned to me and i'll file a damage report to my post provider. For packages that are not cashed at your post office within 14 days, I reserves the right to charge you a handling fee to cover return shipping and freight companies' administrative costs. If a returned item is shipped international, please clearly mark the package 'RETURNED GOODS', to avoid any Customs charges. I am NOT responsible for any return Customs charges made. Any charges incurred are the responsibility of the customer. The first 8 months of Nocturnal Creations has been an interesting experience so far and i thought it'd be fun to see if i'd made any progress. 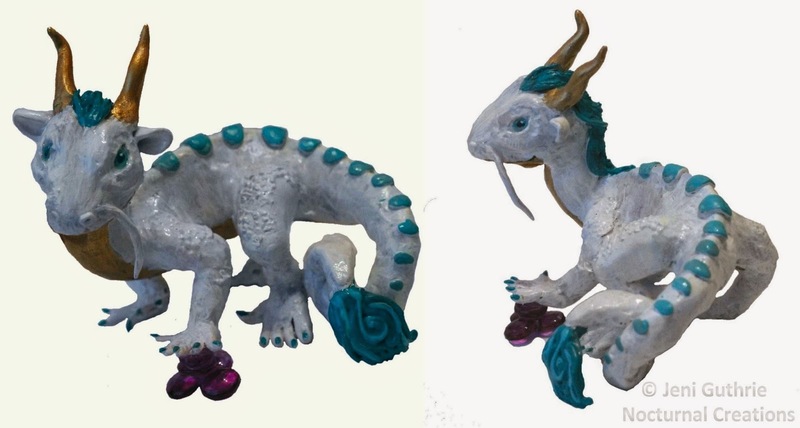 By far the pieces most suited for this little experiment were those that I've created the most of, Dragons. 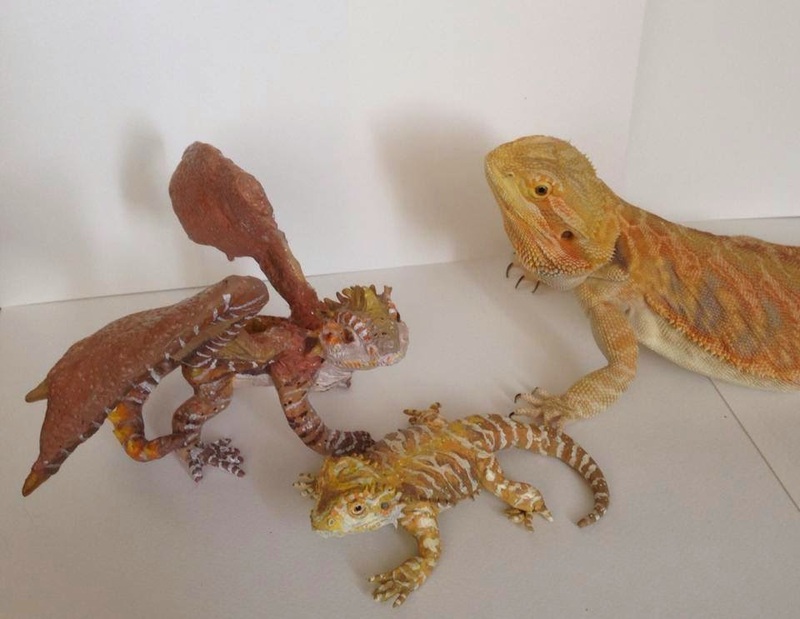 Why have you made so many dragons?, I'm not entirely sure. 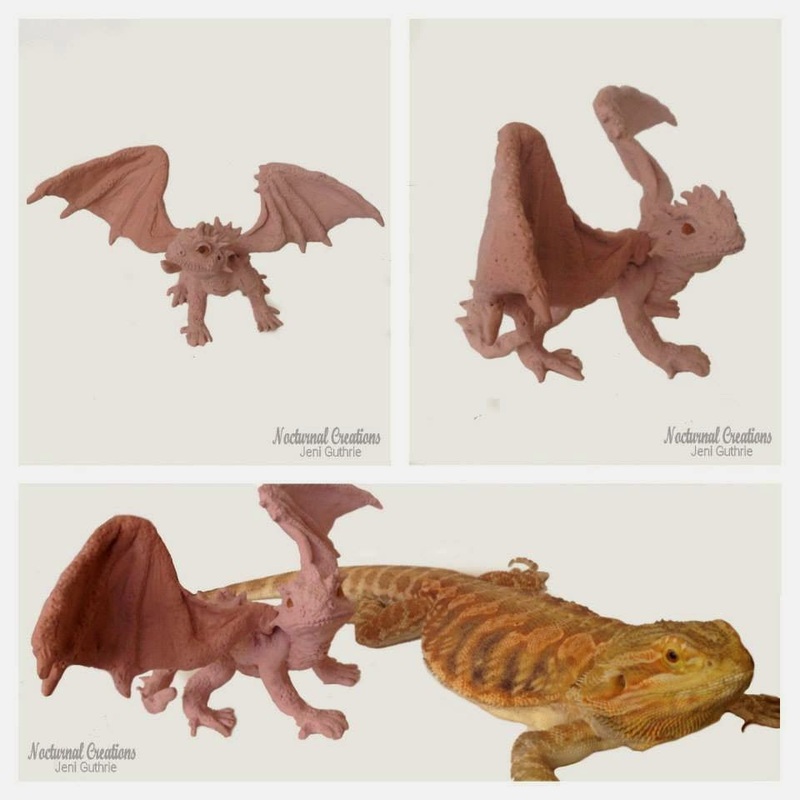 I've never been the biggest dragon fan, but i have found myself spending endless days sculpting hundreds of the little critters and i've noticed that my "style" and techniques have slowly progressed over time. 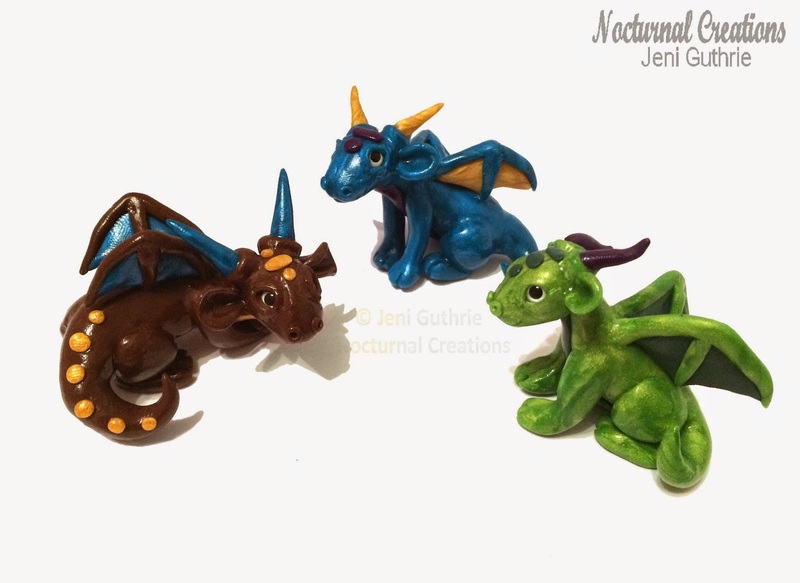 This first trio are not technically the first ever dragons I've sculpted, but they were the first in a while, and the only ones i have photos of. 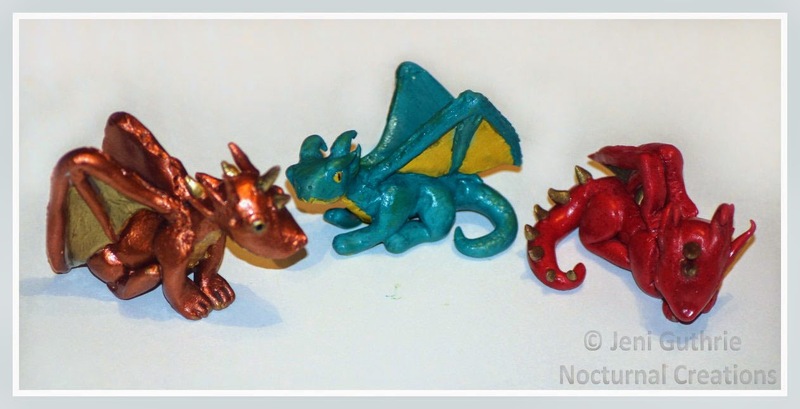 These wee fellas were hand-sculpted from super-sculpey. At this stage all i had was a butter knife and my hands to work with as i hadn't brought the majority of my craft supplies from my Mums house when i moved, so they took roughly 1.5 - 2 hours each to sculpt as i was struggling with the lack of tools, and refreshing my skills after a long break from sculpting anything larger than charm bracelet charms. 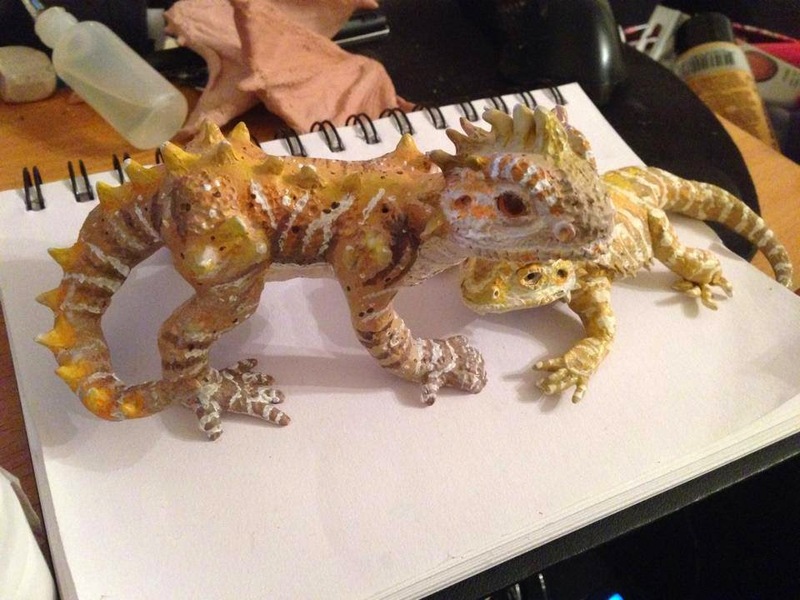 After a curing they were hand painted with "value" craft acrylics...repeatedly until the paint finally stuck. 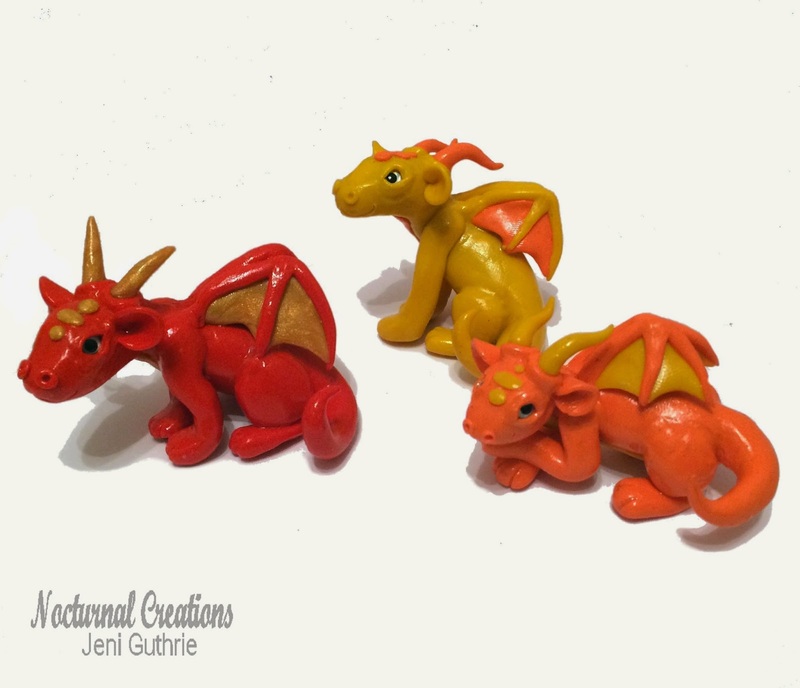 These wee guys were made because i wanted to try out a new style, and hadn't quite worked out how to make wings yet. 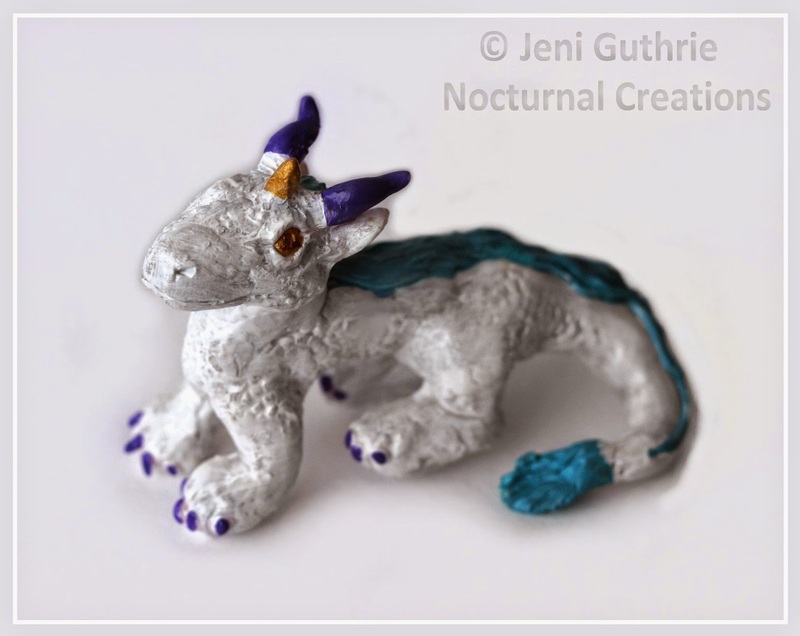 (Left) This was my first piece using a basic armature made from tin foil and he's around 2.5 inches in length, I really struggled as my clay was super soft and he sagged a little during baking. 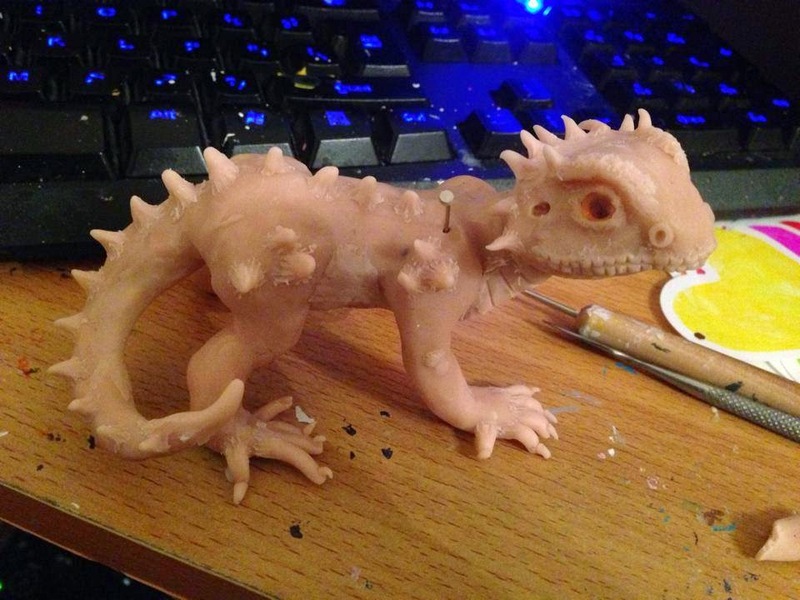 (Below) This was a request for a friend, and i really focused on getting this guy to look semi-decent, i spent extra time researching anatomy (Based on a leopard gecko) and it took approximately 6 hours of sculpting, rage quitting, re-sculpting, texturing and painting. I developed my basic armature by strengthened it with armature wire. I finally picked up all my coloured fimo from my Mums house and unfortunately discovered it had dried out after sitting in a box for almost 5 years (Woops) so i spent 4 days reconditioning it back to a usable condition (Tutorial coming soon in a new entry). Even after that process the clay was still rock soild and agony to manipulate, so it wasn't quite the ideal consistency to work with, but i despise waste, so these wee fellas were born. 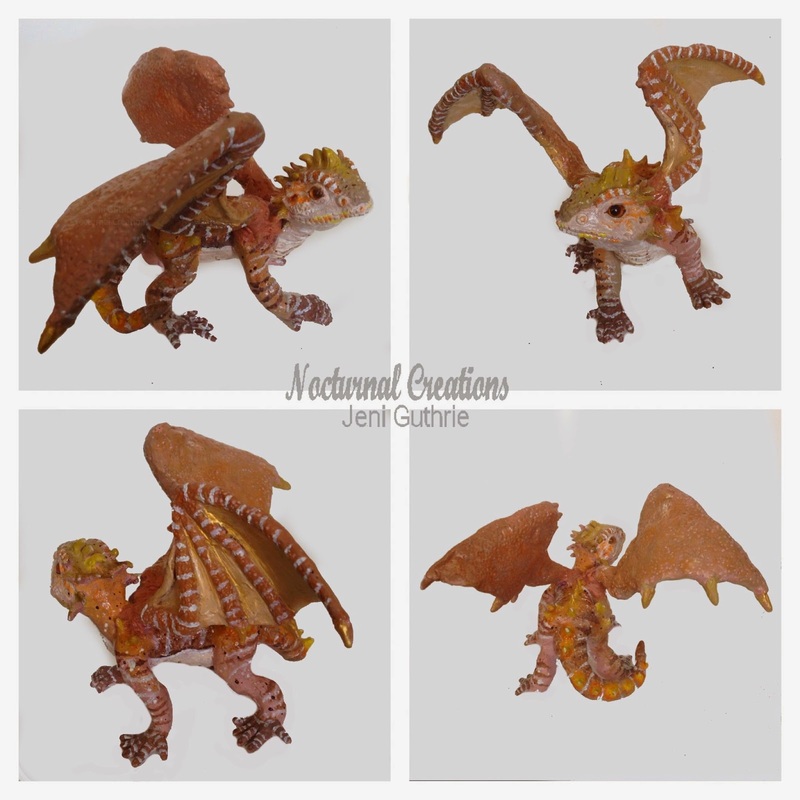 This piece is probably still my biggest achievement, For those of you who follow me elsewhere you'll know i have a bearded dragon called Kira that i love to pieces and people always joke that i should make her little wings so she can be a real dragon. 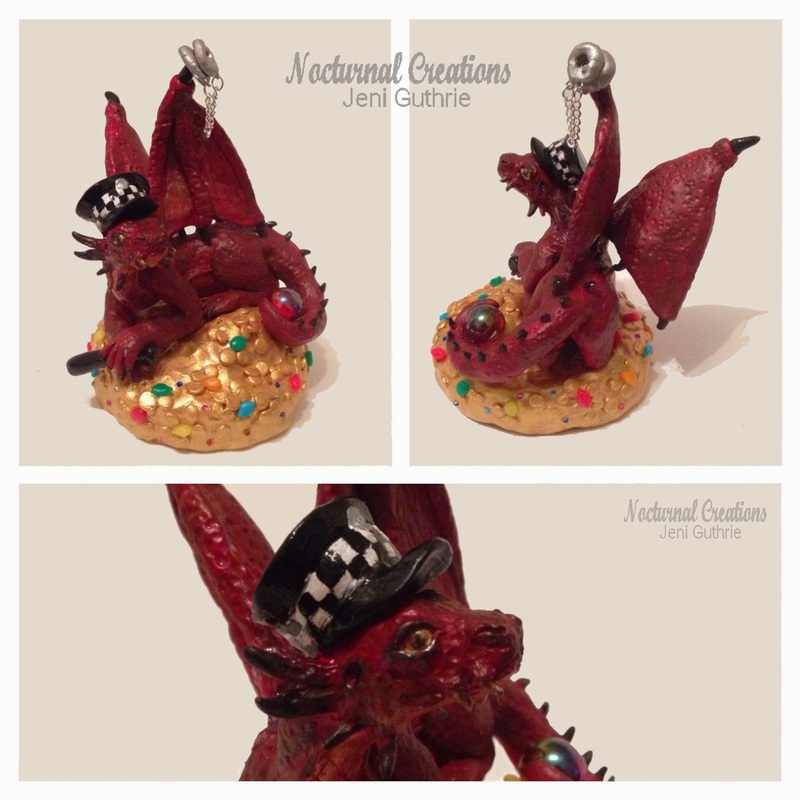 So i thought i'd take things a step further and make a sculpture depicting her as a "real" dragon. Dimensions H 6" x D 5" x W 4.5"
Commissioned gift for a former a police officer and LOTR fan. This was both my most enjoyable and challenging commissions to date for several reasons, one was finding a decent reference image of Smaug as a lot of the screen captures were pretty useless, although it did give me a excuse to have a movie marathon again. Another challenge was creating the base, i'd previously never made a base for any of my sculptures, thankfully this particular ones was simpler than i first thought albeit time consuming due to all the individually made Fimo coins and jewels. and added detail of individually placed faux gems. After 8 months of scrimping and saving i finally had enough money put aside to treat myself to a brand new box of Premo Sculpey clay thanks to the recommendations from several other polymer clay artists. This has been a huge break through for my coloured clay sculpting, i've been so used to battling with old fimo that was close to rock solid. 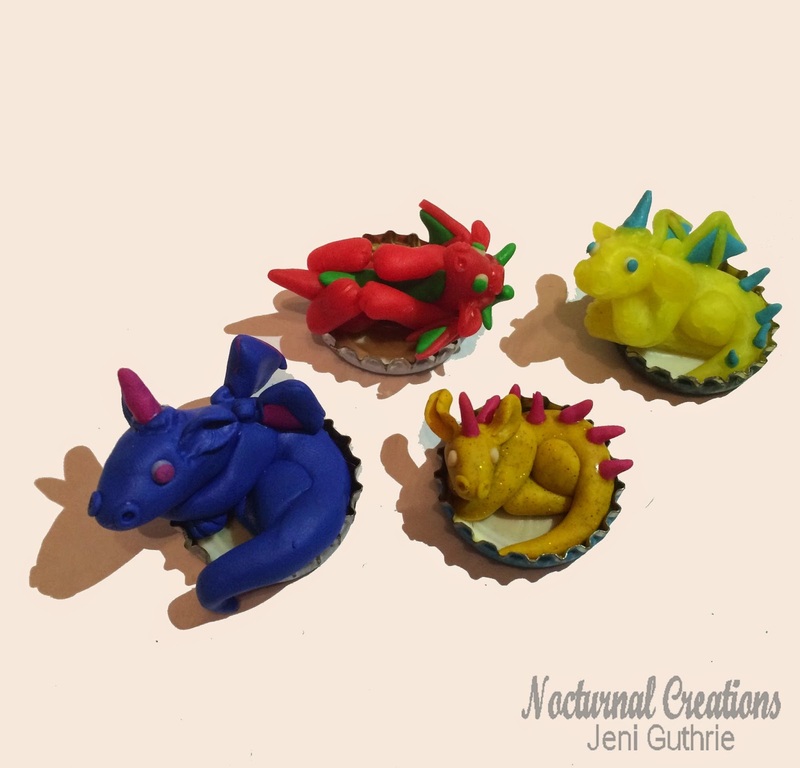 I'm still in the early stage of learning the art of polymer clay but i personally see a huge improvement from those first few pieces i made back in march to those from this month. I know this looks boring, but i've had a much higher response than i expected and this is a way to make sure no-one gets lost or missed out! Preferred trade: Custom, Themed or Surprise me. It's a way of exploring some creative freedom and have a bit of fun creating something outside commissions, while receiving something nice at the end, meeting new people and doing some light networking in the process. What the trade is not: A way to gain free stuff or for others to get "Free" products from myself, by sending something of minimal effort in return. We both should be putting as much love and care into the work as we would usually whether it be for family, friend or customer. What type of art trade? 1. A custom piece: We both tell each other a few Likes/Dislikes/Passions, Favourite colours and a preferred medium or two (I.e. Sculpture, Painting etc), and the other party can create something with their own creative freedom. But if you do have something particular in mind that's already been made, feel free to ask! 2. A themed piece: Where we both work from the same theme, but take the art/craftwork in our own direction and have complete creative freedom to do our thing. What will we trade: Something hand-created whether it be a small sculpture, plushie, needle felting, painting, drawing etc. If you have a art/craft page or business remember to send each other a link so that we can "advertise" it for each other once we receive our trades. Limited critique: We're trading for a bit of fun NOT as paying customers so it need not match your exact vision or be strongly critiqued. we want to let the other persons creative juices flow. Cost: Obviously nothing to take part!. But each individual has to fund their own materials and P&P so it is entirely up to yourself how much you spend/use on the project. (Same applies to time and labour) Please check out the Fair Trade section. Fair trade: This is difficult to judge as we all value work differently, we have to take into account time, value, materials and skill level. We can discuss this between us to suit both sides before starting the trade. You may want to take into consideration size and weight so that it doesn't end up too expensive. Deadline, 1 - 2 weeks, but we can discuss altering this if required. This gives each party enough time to squeeze in the artwork to their busy schedules. But it also gives a completion date to brush up on working within a time-frame. I started a trade, but i can't meet the deadline! : That's okay! Just remember to keep in contact so that we both know what is going on.
. Proof of postage and keep postage reciept in case anything goes missing/gets damaged on it's journey.
. Once you receive your package, remember to show them off!, Post them on your page etc to brag about your new pretty things.
. Remember to say thank you to your partner! So I've been considering for a while different ways of having a bit of creative freedom and fun away from "work" and commissions, all while boosting recognition, learning new things and meeting new people/connections. The latest thought has been, how about doing an art trade? I've been wanting to do a few of these for years, but for various reasons I've not managed. Age was a issue, as most of the art forums i've followed for years required you to be either 18 y/o or over be a high level/point scoring member. Another reason has been the strictness of the rules, i know they're there for a reason and help secure the trades dos and don'ts, but some of them really pushed me out. 2. A themed piece - Where we both work from the same theme, but take the art/craftwork in our own direction and have complete creative freedom to do our thing. Slightly more complicated to manage. Everyone works on the same theme, and we have a new theme every month. This gives each party enough time to squeeze in the artwork to their busy schedules. But it also gives a completion date to brush up on working within a timeframe. Limited critique (We're trading for a bit of fun NOT as paying customers (However feel free to discuss this outside of the trade) so it need not match your exact vision or be strongly critiqued) so we give a basic description and let the other persons creative juices flow from there. (Both parties do not have to post the items if they wish not to, but most must agree prior to starting the project, or discuss later on and both come to a arrangement. Why handmade products are "so expensive"
"Oh wow, i didn't realise how much work was involved"
This small poster turned into a short essay that no longer fitted on a poster. So it's evolved into a blog. A rant, a badly written rant full of angry/frustrated feels. Might wanna grab a cuppa before you start. I may not be well established (yet, hopefully i will be one day) but in the short 6 months that I've been attempting to start a career as a Freelance artist/craftsperson, I've heard/read all kinds of comments others have received about their work, from people who just don't quite understand the volume of work and finances that are involved in creating handmade products. "I could make that for a few quid"
"That seems overpriced for what it is"
"Will you do it for free, it's just a hobby after all"
I've so far had many awfy happy repeat customers giving lovely feedback, but reading these comments have made me worry that i too am perhaps charging too high. The majority of comments i get from people are that i should charge much higher as i'm underselling myself. It's a horrible task trying to find a happy medium. It might not be like your typical job, in fact it's anything but, we don't have to report back to a "boss" as such. We don't work your typical 9-5 shift, (We don't work when it “suits us” either, which is the illusion most people seem to have). We work ALL the time, personally even if i'm not physically doing work there's barely a moment in the day where the cogs aren't turning thinking of new ideas or how to improve previous projects. Even when i sleep i don't get peace, i often find myself waking up and having to reach for pen&paper or my phone to jot down a idea that's inconveniently popped into my head mid slumber. I even pull inspiration from my dreams, which create some weird and wonderful gems. One of the very few bonuses i've discovered so far is that I don't have to suit up for the day and make myself look like a presentable human being, i can kick about looking like i've been dragged out of a hedge backwards because i don't often have to meet people face to face, which suits my introvert-verging-on-hermit personality. What doesn't seem to be taken into account by those outside the creative community is the amount of time, energy and money involved in keeping things running, there's so much more involved than your average Joe seems to think . I've had countless heated discussions with friends and family about the situation and little support from all but a few, and usually coming out with the same old "helpful advice" like the life coach gurus that they are. "You should just get a normal job like everyone else"
"There'll never be a future, why waste your time?" "That's not a job, it's just a hobby"
That's all fine and dandy if you're happy being a sheep and conforming to the masses in their vision of the "normal life", I've always strived to do something a bit different, if i fail, i fail. That's my problem, not anyone elses. If things don't work out at least i can wipe the slate clean and be content that i know i really tried, rather than going through my life doing the same mundane tasks day after day wondering "What if". The very first thing people don't realise (in my case) is the amount of research and planning that has gone on behind the scenes, for literally YEARS, this isn't a spur of the moment decision, this is something i planned to do from a young age, i worked 3 jobs at one stage with barely any sleep, no social life what so ever, rarely even taking a sick day and the once in a blue moon day off, all to scrimp and save every penny so i could try and achieve my dream. "Oh that's easy, i could make that for cheaper". O RLY? That's nice, well go on, you do that and tell us how it turns out. To start with there is learning from scratch whether it be a new material and figuring out how it works and reacts when used in different ways, or finding the best technique to suit the job at hand. Then the tedious task of learning by doing, mistakes are made, materials and time are wasted, but confronting these and improving from them is key. I personally NEVER add this cost to the seller, this comes out of my own pocket. This is not including the money spent on educational materials such as books and courses. (Calm doon bladder I’ll finish this sketch first). Well yes, you probably could. If that's the way you see it i'll send you the raw materials (e.g. Block of clay and armature wire) and you can do the rest yourself, if that's all you're willing to pay for that's all you'll get. It's the time involved in applying the appropriate skills and techniques to make the finished product. e.g. When you take a car into the garage to get fixed, you're aware you'll have to pay for the parts, and you need the mechanics skills for them to fix it and will have to pay them a hourly rate on top which tends to be the most expensive aspect. It's the same deal when it comes to handmade items, especially custom and unique work, where you're paying for the artists specific skill set/knowledge and their time to make it. Material costs - This is one of the few parts people tend to slightly understand. Personally i tend to only charge what ever fraction of the materials i will use, but i do know others that charge for full sets of new materials per project. 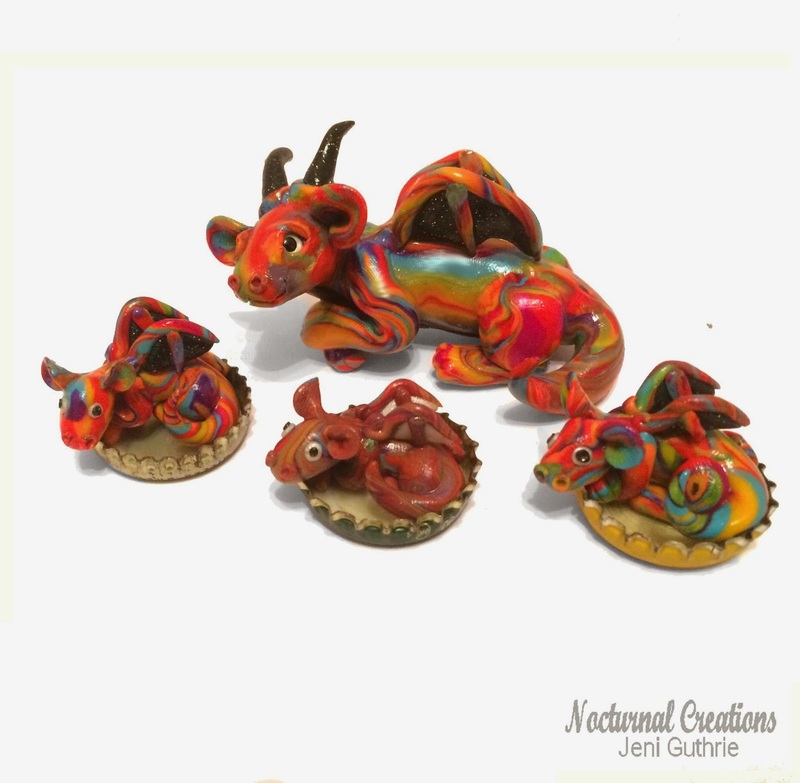 Some things however are still overlooked such as varnish for protecting work or wire for armatures to make sculptures more structurally sound, these things are all taken into account when it comes to setting commission prices. Cost of tools/Equipment - This can include buying your own, which down the line involves replacement parts or entire tools, electricity to run a majority off them (even the humble glue gun needs to be powered one way or another), when you're using all that potentially dangerous equipment you need to protect yourself eh? So on top of that is safety gear. There are some things that we just cant afford to/have space to own so we have to hire them from others which adds yet more pennies onto the costs. Photography and Editing: Those pretty polished display pictures you find on our online stores, blogs and catalogue don't come cheap whether we hire out the equipment to use ourselves, hire someone else with their equipment to do it for us or buy our own, we've got to fork out for the physical equipment (Camera, lenses, carry bags, lighting, batteries, memory cards) which can cost from the hundreds to the tens of thousands for the top end gear, we also need computers to upload the images, and pricey software so that we can tweek imperfections in the shot to show you the final product in all its glory. Not to mention time and money spent learning how to use all of these whether it be tedious self-teaching, books, dvds or tuition. Workspace/studio - Probably one of the more important aspects to us artist as they are our little home from homes (or in my case home in my home aka a corner of the living room) whether it's renting a space, building our own/converting a room, furnishing the work space, and the maintenance of the area such as replacing bulbs and paint. We have to fund it all. Customer service (Consultation/availability/communication) – Many of us creative types are working at ridiculous hours, when you are all tucked up in bed 24/7 we’re working, when you’re getting up for work, we’re still working. Unlike your regular office/shop job, our customers can be anywhere in the world, that means different time-zones and those customers also expect the same amount of communication as anyone else. So we stay up, to achieve deadlines and update our clients dotted about the globe, fueled by unhealthy quantities of caffeinated beverages. Listing fees – We have to pay fees for you to find our products in online stores (They may say they don’t charge, but believe me they do). There is often a listing fee per individual item, then a percentage is taken off IF the item sells, then for all of us who wish to keep our customers payments secure, another percentage gets taken off by use PayPal and similar services. Then of course after that there is your tax&VAT where applicable. Postage and shipping – “Postage is HOW MUCH? !” We know, and we feel bad. But we just can’t afford to not take payment for P&P for every single customer. The little extras we add in to make your purchase that little bit extra special and secure enough to survive their journey also add up including boxes/jiffy bags, bubble wrap, tissue paper, gift boxes/bags, business cards, the occassional freebie, THEN postage prices itself. Advertising – We are our own promoters (Unless we’re lucky enough to have someone else do it for us) we have to design and pay for business cards, posters, space in magazines/websites/shops/public spaces, not to mention website and server costs. This can take up unhealthy amounts of time making sure the widest possible audience can see our creations and have the opportunity to purchase their own. Anything else? – Well yes actually. 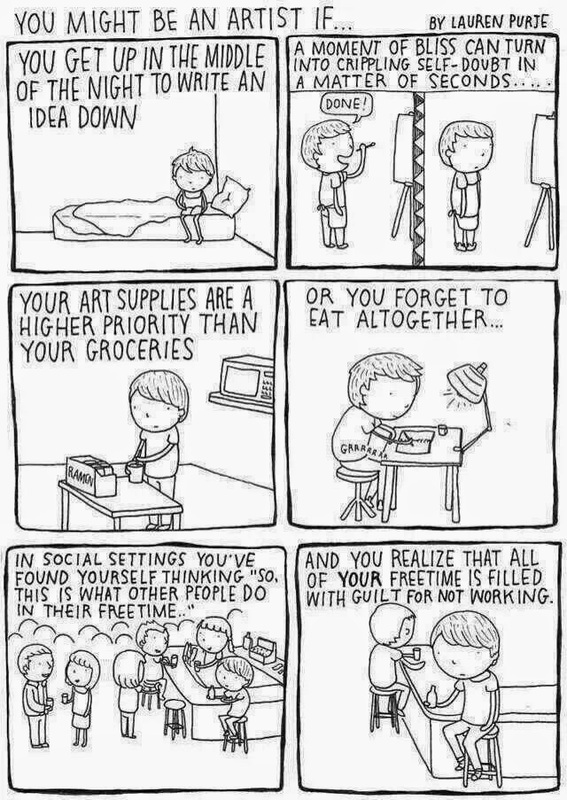 These are just the costs behind keeping the creative side of our lives alive and kicking, we often forget about ourselves and that we need to look after too. These don't include essential living costs that most people in a “normal job” use their wage to pay for, the fun grown up things like rent, bills, food, pets and all their related needs, medical/dental bills. Not to mention luxuries such as spending money for social/leisure activities and god forbid a holiday! 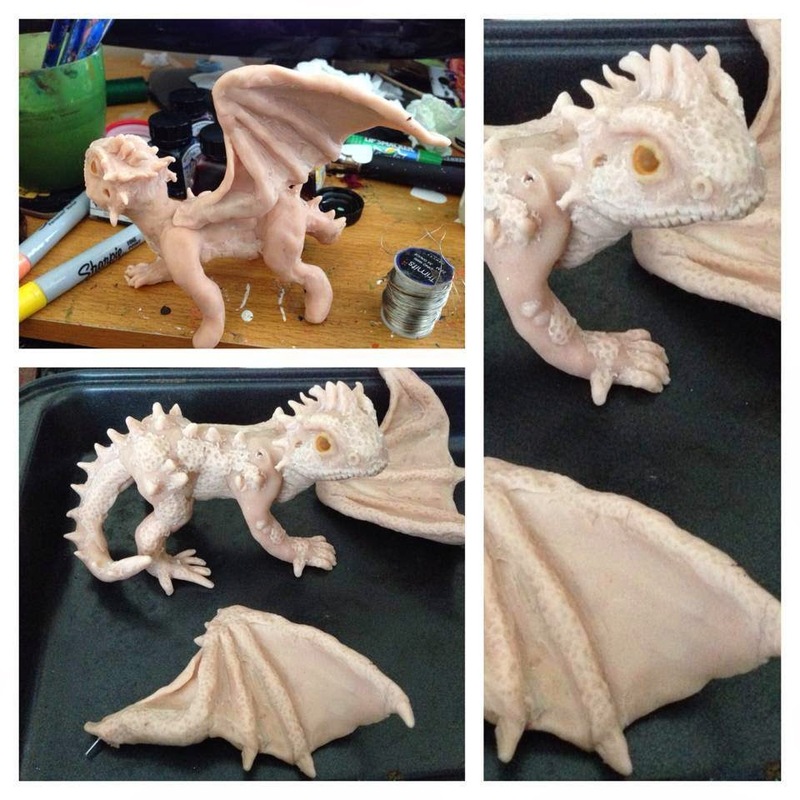 Do you still think handmade commission work from independent artists is too high? So aye. If you made it this far, Well done, you're a trooper!. There's just so much involved behind the scenes especially if you're a lone wolf, that even I myself didn’t think too much about until I took on the challenge. You wouldn't want to be underpaid for all of the above. You wouldn't be very pleased if your boss turned round after all your hard work and decided they didn't want to pay you this month/at all or said to you "I'll pay you next week when i have money"
You wouldn't expect someone to tell you "You're overpaid" or your boss to decide "they want to suddenly pay you less than you’re due. You wouldn't ask a big branded shop to sell you their item at a lower price because that’s what you think it is worth. So why should we be treated like that? .....The tragic thing is, even after that entire rant i'm still selling sculptures that take up to 10 hours to complete for as little as £15...that's £1.50 per hour not including anything else listed above. BAH!